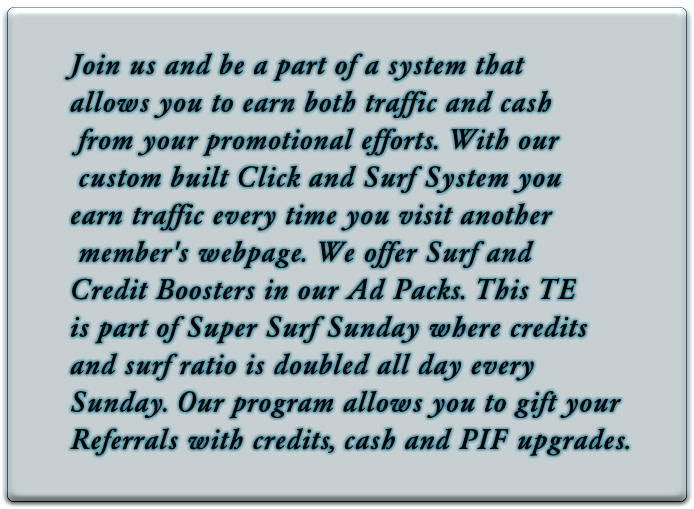 Ad Pack Heaven is FREE: You just can't beat the appeal of no-cost online advertising. 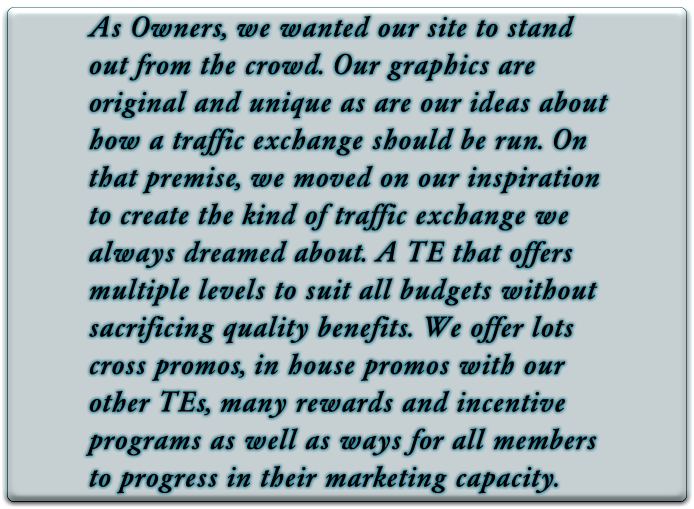 Ad Pack Heaven is Proven: Thousands of members are benefiting from promoting multiple web pages and banners. 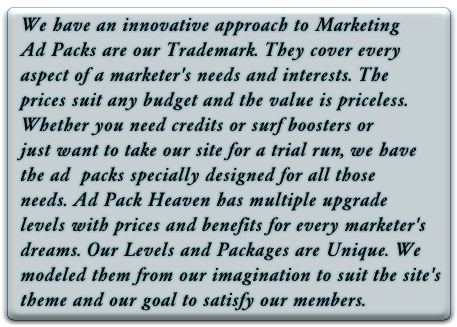 Ad Pack Heaven is a Brand Booster: Brand yourself and your business to increase your trust and recognition. Ad Pack Heaven is Viral: Traffic increases automatically and exponentially. Ad Pack Heaven is Targeted: You'll only get live, real-time targeted traffic. Real people visiting your site. No fake traffic here.